View more presentations from Ogilvy & Mather Worldwide. 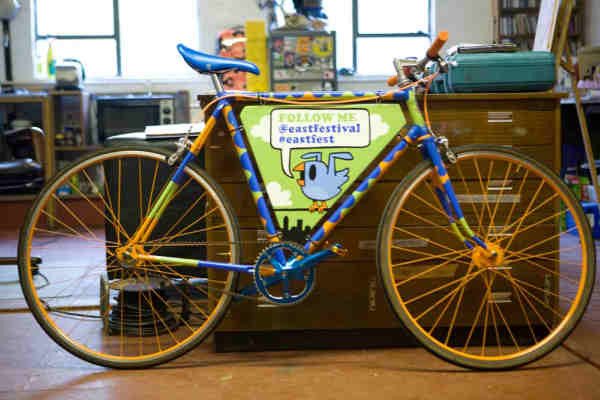 The East Festival in London will feature Pete Fowler keeping festival fans updated via his freshly painted Tweeting Bike. It’s a novel way to promote the festival and the @eastfestival twitter address as no doubt Pete will attract attention as he rides through the east london district. You can check out Pete’s Flickr photo set here and follow the overall festival news via @eastfestival, or via the cleverly named #twike hashtag. Twitter Co-founder Evan Williams talks about the ideas for driving twitter’s growth in the future.